That passage fits the experience of the blind man in John 9. Even with his new vision he understood Jesus more clearly than any of our Lord’s critics. Their ideology blinded them to reality, for they thought that they knew how God worked, and Jesus, by his life and deeds, contradicted that understanding. So, like people who did not want to be confused by facts, they doubled down on their ideology. It was safe and familiar. Their ferocity in the story reveals something else. Such meanness and anger indicated that these men were trying to convince themselves of what they said. They could not pretend for long that what had happened had not occurred, so they looked for alternative explanations. And they committed injustice in the process. Among the most dangerous people are defensive ones. I have learned that lesson by living and by monitoring the news. And the combination of defensiveness with a disregard for objective reality is more dangerous, especially in the news media and in the corridors of power. Good decision-making requires, among other things, a firm grounding in objective reality. As for the rest of us–those not in power–a firm grounding in objective reality matters very much. And how we treat others–cruelly or not–matters to them. May we refrain from harming others to make ourselves feel good or better. John 9 consists of one story–that of a blind man whom Jesus heals. The healing occurs at the beginning of the chapter. Then religious politics take over. How dare Jesus heal on the Sabbath? 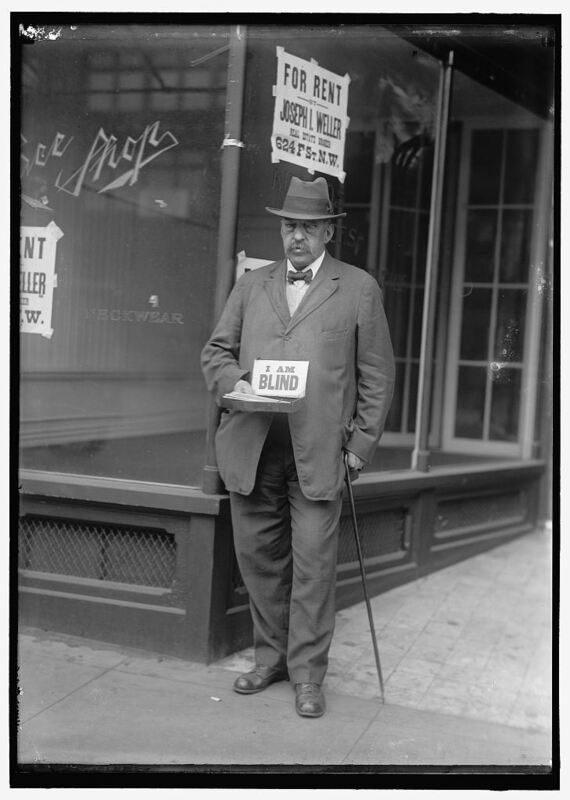 Was the man ever really blind? How could an alleged sinner–a Sabbath breaker–Jesus, perform such a miracle? The works of God clashed with human orthodoxy, and defenders of that orthodoxy preferred not to admit that they were or might be wrong. Some words of explanation are vital. One way a visible minority maintains its identity is to behave differently than the majority. As Professor Luke Timothy Johnson has pointed out, arbitrary rules might seem especially worthy of adherence from this perspective. Sabbath laws forbade certain medical treatments on that day. One could perform basic first aid legally. One could save a life and prevent a situation from becoming worse legally. But one was not supposed to heal or cure on the Sabbath. This was ridiculous, of course, and Jesus tried to do the maximum amount of good seven days a week. Each of us should strive to meet the same standard. At the beginning of John 9 our Lord’s Apostles ask whether the man or his parents sinned. Surely, they thought, somebody’s sin must have caused this blindness. Apparently these men had not absorbed the Book of Job. As Job protests in Chapter 30, he is innocent. And the Book of Job agrees with him. Job’s alleged friends gave voice to a human orthodoxy, one which stated that suffering flowed necessarily from sin. The wicked suffer and the righteous, prosper, they said. (Apparently, adherents of Prosperity Theology have not absorbed the Book of Job either.) Job was, by their standards, a heretic. Some of my favorite people have been heretics. 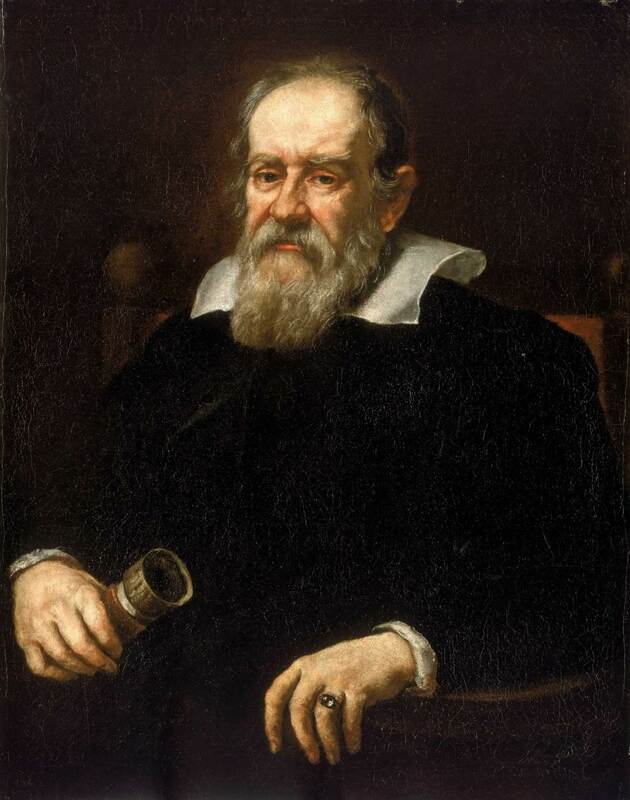 Galileo Galilei was a heretic for reporting astronomical observations and deriving from them accurate conclusions which challenged centuries of bad doctrine. Both Protestant and Roman Catholic leaders condemned his writings as heretical in the 1600s. Roger Williams argued for the separation of church and state in Puritan New England. He also opposed mandatory prayer; the only valid prayer, he said, is a voluntary one. For his trouble Williams had to leave the Massachusetts Bay Colony. Also forced to leave was Anne Hutchinson, who dared to question her pastor’s theology. I have made Galileo a saint on my Ecumenical Calendar of Saints’ Days and Holy Days (at http://neatnik2009.wordpress.com/). And The Episcopal Church has recognized Williams and Hutchinson as saints. I wonder what two rebellious Puritans would have thought about that. Orthodoxies build up over time and become accepted, conventional, and received wisdom. The fact that a doctrine is orthodox according to this standard discourages many people from questioning it even when observed evidence contradicts it. Jupiter does have moons. This fact contradicts the former theology of Protestantism and Roman Catholicism. Should one accept good science or bad theology? The question answers itself. The man in John 9 was born blind. Attempts in the chapter to question that reality are almost comical. We human beings must be willing to abandon assumptions which prove erroneous if we are to be not only intellectually honest but also to avoid harming others while defending our own egos. 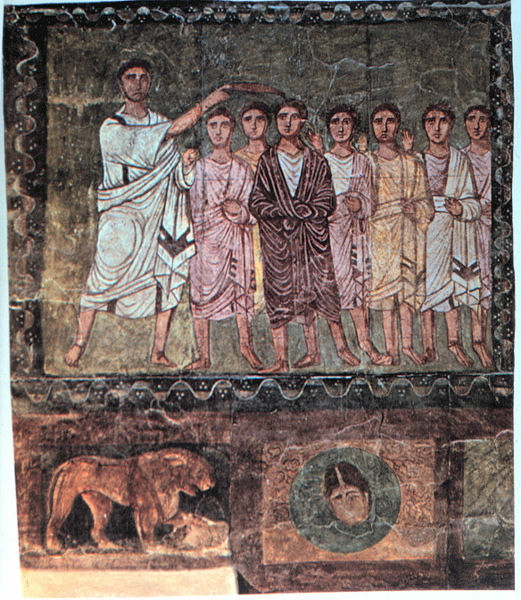 Above: Samuel Anoints David, Syria, 3rd Century C.E. How long will you grieve over Saul? I have rejected him from being king over Israel. Fill your horn with oil and set out; I will send you to Jesse the Bethlehemite, for I have provided for myself a king among his sons. How can I go? If Saul hears of it, he will kill me. Take a heifer with you, and say, “I have come to sacrifice to the Lord.” Invite Jesse to the sacrifice, and I will show you what you shall do; and you shall anoint for me the one whom I name to you. Peaceably; I have come to sacrifice to the Lord; sanctify yourselves and come with me to the sacrifice. And he sanctified Jesse and his sons and invited them to the sacrifice. Surely the Lord’s anointed is now before the Lord. Do not look on his appearance or on the height of his stature, because I have rejected him; for the Lord does not see as mortals see; they look on the outward appearance, but the Lord looks on the heart. The Lord has not chosen any of these. There remains yet the youngest, but he is keeping the sheep. Send and bring him; for we will not sit down until he comes here. Rise and anoint him; for this is the one. Then Samuel took the horn of oil, and anointed him in the presence of his brothers; and the spirit of the Lord came mightily upon David from that day forward. Samuel then set out and went to Ramah. Rabbi, who sinned, this man or his parents, that he was born blind? Neither this man nor his parents sinned; he was born blind so that God’s works might be revealed in him. We must work the works of him who sent me while it is day; night is coming when no one can work. As long as I am in the world, I am the light of the world. No, but it is someone like him. Then how were your eyes opened? The man called Jesus made mud, spread it on my eyes, and said to me, “Go to Siloam and wash.’”Then I went and washed and received my sight. He put mud on my eyes. Then I washed, and now I see. This man is not from God, for he does not observe the sabbath. We know that this is our son, and that he was born blind; but we do not know how it is that now he sees, nor do we know who opened his eyes. Ask him; he is of age. He will speak for himself. He is of age; ask him. Give glory to God! We know that this man is a sinner. I do not know whether he is a sinner. One thing I do know, that though I was blind, now I see. I have told you already, and you would not listen. Why do you want to hear it again? Do you also want to become his disciples? You are his disciple, but we are disciples of Moses. We know that God has spoken to Moses, but as for this man, we do not know where he comes from. Here is an astonishing thing! You do not know where he comes from, and yet he opened my eyes. We know that God does not listen to sinners, but he does listen to one who worships him and obeys his will. Never since the world began has it been heard that anyone opened the eyes of a person born blind. If this man were not from God, he could do nothing. And they drove him out. And who is he, sir? Tell me, so that I may believe in him. You have seen him, and the one speaking with you is he. I came into this world for judgment so that those who do not see may see, and those who do see may become blind. If you were blind, you would not have sin. But now that you say, “We see,” your sin remains. I read little from evangelical writers, for almost nothing from that genre of nonfiction interests me. (I have had some unfortunate encounters with self-described evangelicals over the years. These are par for the course when one is an intellectual liberal with High Church (in my case, progressively Anglican-Lutheran-Catholic over time) leanings in the Bible Belt. Yet Philip Yancey is one evangelical whose books I feel comfortable reading. Two of these volumes are Soul Survivor and The Jesus I Never Knew. In these books I have read that Yancey grew up in a Southern U.S. white culture in which Christian fundamentalism blended easily with overt racism. His family’s church in Atlanta decided to open a Christian school very shortly after the 1954Brown v. Board of Education ruling, for example. And, in the 1960s, when Yancey was slightly older, he went off to a Bible college where civil rights for African Americans were not considered important, but the length of a man’s hair (short) and of a woman’s skirt (long) were major priorities. Yancey wrote that college administrators would not have admitted Jesus based on his haircut (too long), as artists have depicted it. As one reads the four canonical gospels, one notices that many (not all) Pharisees come across as the bete noires of those compositions. This is true of John 9:1-41. At the time and place there was a common belief that physical difficulties resulted from sins. These things could never just happen, could they? That was the attitude. So we have the case of Jesus, a man born blind, his parents, and some Pharisees. Jesus gave the man sight, an act which vexed the Pharisees. They spoke to the man’s parents, who referred them to their adult son. The formerly blind man, not understanding the Pharisees’ agenda, asked naively if they wanted to follow Jesus, too. (If this were a cartoon steam would rise from the Pharisees ears at that point.) The Pharisees drove the man out, and he encountered Jesus again. The Pharisees were spiritually blind, but the formerly blind man had clear spiritual vision. And the Pharisees did not recognize their blindness. 1 Samuel reminds us that God looks on the heart, but that we humans are frequently superficial in our judgments. Attractive people seem to rise to the top, do they not? When physical beauty and handsomeness are paired with qualifications, talents, and skills, this is not a problem. But I cannot help but think about the example of U.S. President Franklin Pierce (in office 1853-1857), who competes with Warren G. Harding and James Buchanan for the “worst president” slot in historians’ ratings. The nicest statement I have read about Pierce is that he was the most handsome president. David, 1 Samuel tells us, was not handsome, at least compared to his elder brothers. No, he was ruddy. But he had leadership skills, which were more important than his appearance. By grace may we can approach more closely a state in which we see as God sees, and therefore follow Jesus. May we lay aside our fixations on trivial religious matters, embrace goodness, and love one another.